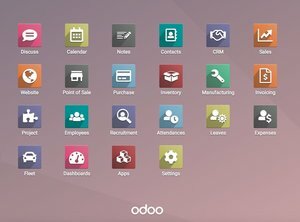 "PPTS is an official Sliver Partner of ODOO formerly known as OpenERP which is an ERP software which provides business solution for industries like manufacturing, trading, ecommerce, accounting, etc. on every ODOO module with its customized ODOO apps. ODOO has released its new version ODOO 12. PPTS provides worldclass ERP, ECOMMERCE, DA, DI, Mobile Apps & Java Solutions.PPTS having deep understanding of the framework of ODOO and offers consultation, development, customization, hosting, & support services. We have completed more than 50 Odoo implementations across the world to date and more implementations are in progress. With enriched knowledge across all versions of Odoo, PPTS is well equipped to effectively handle existing and new customers.